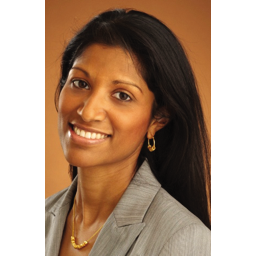 Teena-Ann Sankoorikal is a partner at Levine Lee LLP. Ms. Sankoorikal has a broad litigation practice, with particular experience in intellectual property matters, including patent, copyright, trade secret and antitrust matters. Ms. Sankoorikal co-authored the Intellectual Property Law Answer Book, published by the Practising Law Institute, which is currently in its third edition. In 2013, Ms. Sankoorikal was elected to the Board of Directors for the Asian American Bar Association of New York. She is also District Vice President (Metropolitan District) of the Yale Science & Engineering Association. In 2014, she was elected to the Board of Directors of New York City Outward Bound Schools. In 2013, Ms. Sankoorikal was named a “Rising Star” by both New York Law Journal and the Minority Corporate Counsel Association (MCCA). In 2012, she received the “Best Lawyers Under 40” award from the National Asian Pacific American Bar Association for her outstanding professional achievements and dedication to the Asian Pacific American community. Since 2007, Ms. Sankoorikal has been a partner liaison to the firm’s Asian/Pacific Islander Associate Affinity Group. She has also participated on various panels, including those focused on issues relating to women and Asian Americans. Ms. Sankoorikal received a B.S. in Chemistry from Yale University in 1996 and a J.D. from the University of Pennsylvania in 1999, where she was the Research Editor for the University of Pennsylvania Law Review. She joined Cravath in 1999 and became a partner in 2007. I consider it my responsibility to provide younger associates with the opportunity to develop the skills and experience to become successful litigators and to serve as role models. I have found it extremely rewarding to be able to share my experiences inside and outside the courtroom to help associates navigate challenging situations, whether it is to formulate litigation strategy, evaluate professional opportunities or find a work/ life balance. I firmly believe the Don H. Liu Scholars Program will further the goal of encouraging aspiring lawyers in the Asian American community to take more leadership roles and find their own voices, just like the Program’s namesake.